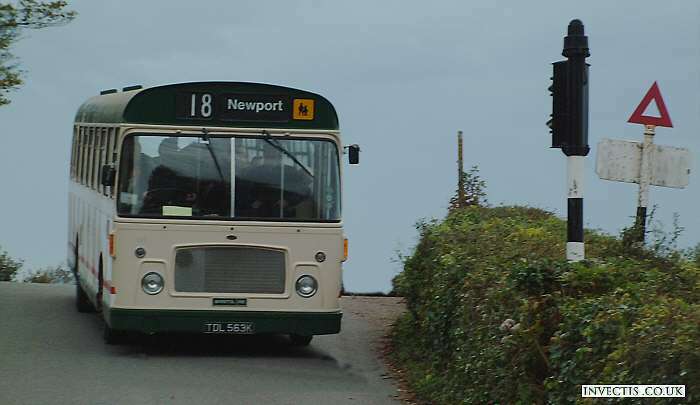 Bristol RE TDL 563 K en route from Carisbrooke as part of the IW Bus museum running day 2002. 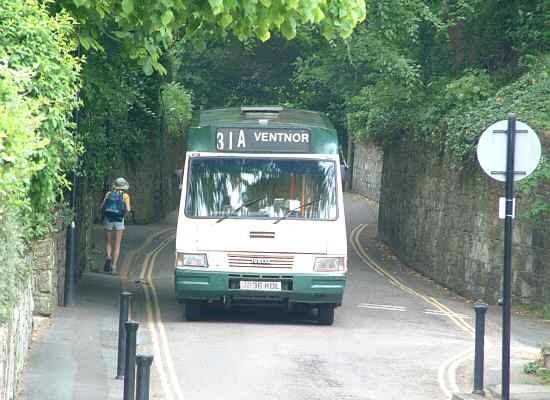 Route 6 in Ventnor - the bus is about to descend Zig Zag Road. 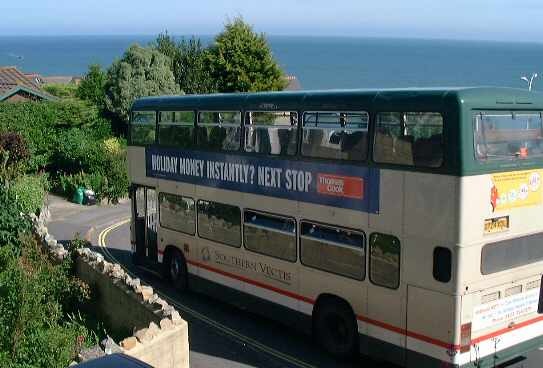 This Iveco was seen in Bonchurch en route for Ventnor. This bus on route 6 again, this time arriving from Ventnor & ; Blackgang on a (rare) wet day, is about to turn into Newport bus station. 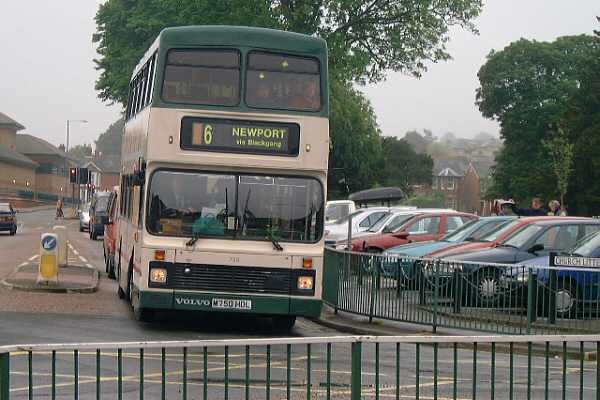 Looks like most of the fleet are awaiting departure from Newport! 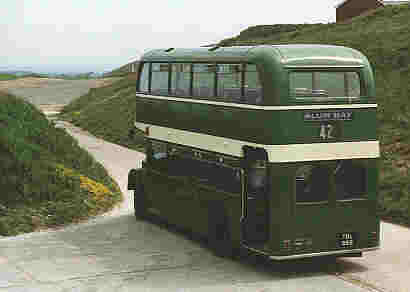 A bus awaits at the Needles to make the hair-raising trip down the cliff-edge to Alum Bay and Yarmouth - not for the faint-hearted! 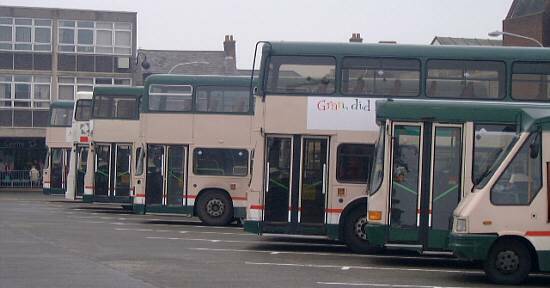 Buses at Yarmouth on a dull day. Garish advertising on this 1991 view at Alum Bay. 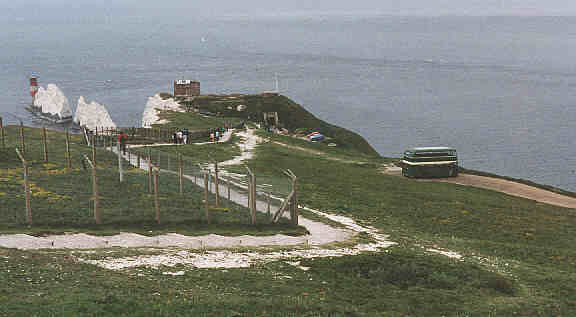 The needles (with the base of the lighthouse) are in the background. 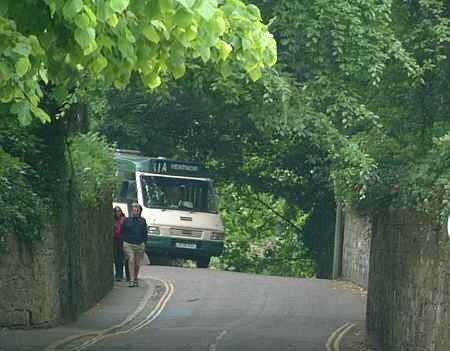 This bus climbs the cliff-edge track to the Fort. 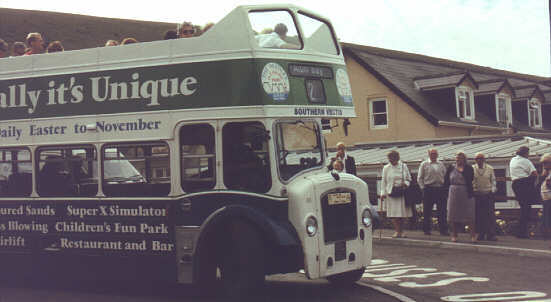 This bus at Yarmouth was pictured in 1994.